Promotional products are generally printed with your logo or message and given away to customers or the general public. They range from very inexpensive mass produced items such as pens, bags, caps etc to short-run, expensive high-quality items for valued customers or staff. Giving promotional products away to your customers or potential clients is a great way to market your business, brand or event – everyone loves getting something for free for a start. What’s even better is that you have the satisfaction of knowing that you are giving your customers or clients a useful, long-lasting branded product that will constantly and positively remind them of your company or organization. Sounds good, but what happens in practice? – made from materials produced from unsustainable fibres sourced from native forests and rainforests, cotton plantations, and can involve production methods based on unfair labour practices. – Are such products truly valued? – Are they useful and long-lasting? – Do they really reflect your brand in a positive way? – How long do you think customers keep their plastic keyrings, stress balls, flapper hands, flags, caps, banners, power banks, wristbands, and more? You guessed it – all too often this disposable giveaway is NOT valued as you would like and quickly ends up in the bin destined to spend centuries in Australia’s over-filled landfill sites. All that pollution (and sometimes exploitation of workers in overseas producer countries) to make the things, and the end result is a short, unvalued life before disposal in the waste stream. That can’t be satisfying for you or effective for your business, and it’s certainly less than your customers expect. Today’s market expects more. As more and more people become aware and concerned about climate change, food safety, and the need to live their lives more sustainably, they are increasingly ready to respond to businesses and organizations who share their concerns, offer genuine solutions and use appropriate green or sustainable means to communicate with them. If you want to be taken seriously by this ever increasing group, and to act sustainably in your promotional efforts, then the medium must fit the message: the promotional product you give your customer or client has to be green. Thankfully there’s now a wider range of eco promotional products which allow you to promote your business or message or to educate/inform your market while letting your customers know that you share their sustainability concerns and values. Cost Effective – they fit into almost any marketing budget as there are products available at almost every price point. Easy to Integrate – they complement other marketing/advertising media. Easy to Target – they can be directed to targeted/selected audiences such as customers, prospective customers, clients, staff, or the general public. Cost-Free Repetition of your message – the eco product continues to repeat the advertising message every time it is used, without extra cost per exposure. What are Eco Promotional Products? Eco promotional products are produced from materials and use processes that are a significant environmental improvement on traditional materials or manufacturing. For example, they minimise or avoid the use of non-renewable resources, they foster or involve reuse and recycling, and they greatly decrease the negative effects of product disposal, by eg being biodegradable. You can read more in our website information pages at ecopromotions.com.au for more detailed information on our products and the materials used to make them. While eco products available today are not yet all perfect and some involve initial compromises that need to be addressed over time, the trend is clear: there is a strong move to making the manufacture, use and eventual recycling or disposal of eco promotional products sustainable in the long run so that renewable, non-polluting resources are used and so that future generations can enjoy using the same type of resources and getting the same type of benefits into the future. In the same way, we will see a trend to ever-increasing certification of the environmental benefits or features of eco products. Today there are relatively few certified products in the promotional market, apart from FSC certification for some wooden and paper products, and Fairtrade, Organic Cotton and a few other certifications for some clothing, bags and toys. 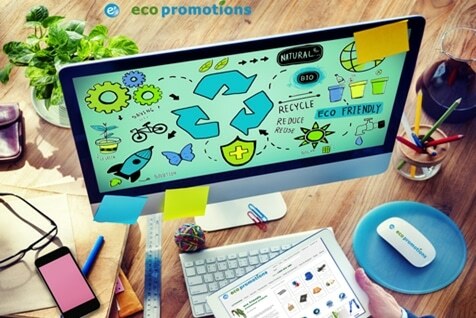 At EcoPromotions, we understand the products, the issues, the promotional industry and the changing pattern of eco-consumer behaviour. We are also eco product specialists: the only promotional products we supply are eco products. Not like many other promotional companies that supply 95% traditional plastic etc based products and have added a token 5% of ‘green products’ to satisfy the ‘eco buyer’. Our products are also significantly carbon offset: we have chosen to voluntarily offset operational emissions and make a contribution towards offsetting product emissions with verified carbon offsets from C3 Climate Chest. Alsco would like to thank Con Goik, Director of EcoPromotions for sharing this awesome and informative article to help us keep our environment healthy and green. Alsco’s number one priority is to keep our environment clean and green not just for us today but for the future as ell. Know more of our Personalised Mats, a perfect way to convey safety message to employees and customers. For more information about Alsco’s different services, you may visit our official website or call us on 1300 659 892!